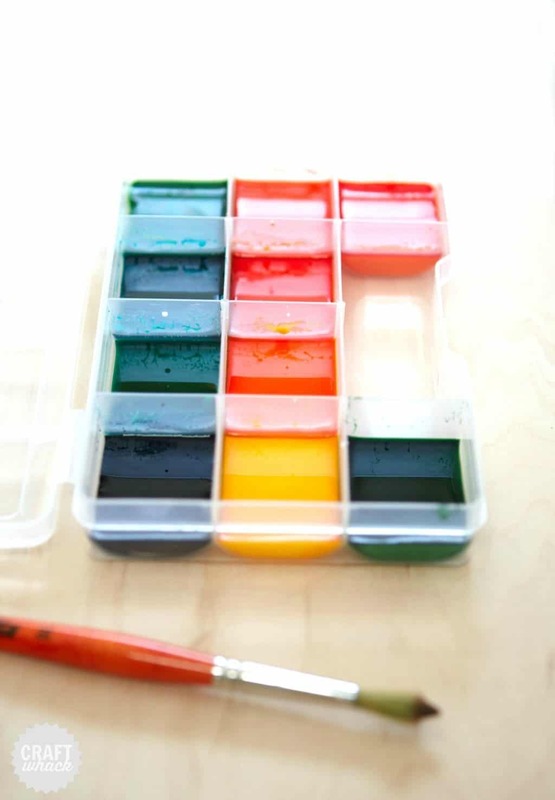 Making your own watercolor paints is easy and fun, especially for kids. I wouldn’t recommend using these on your next gallery pieces, but I’m not your mother. So have at it if you’re feeling cheeky. 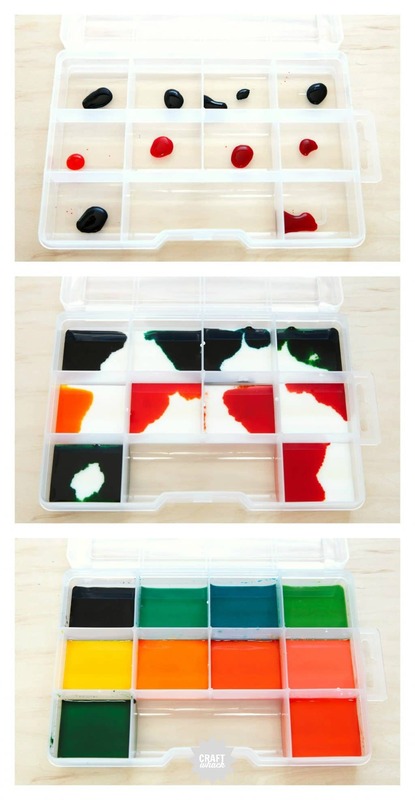 Drip your drops of food coloring into each little compartment. 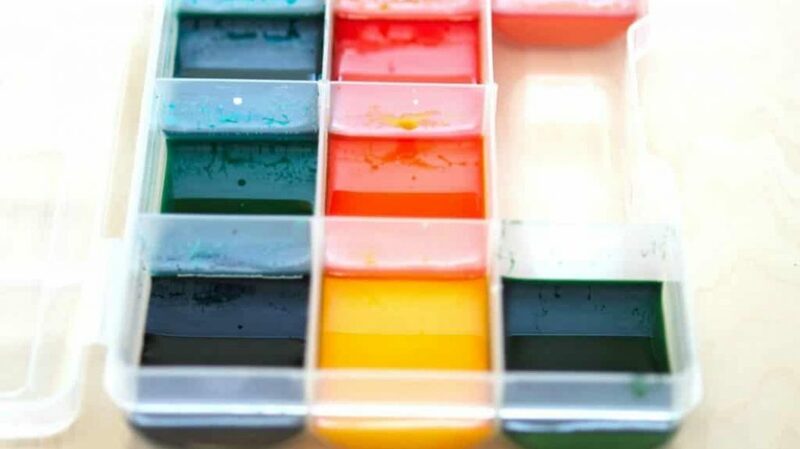 This is the fun part: add your food coloring in different mixtures, or straight up colors to each compartment. Think about what you want to be painting. Trees and grass? Mix up some different greens. Flowers? Get colorful. Whisk up the baking soda and cornstarch in a bowl. Pour your mixture into the little containers filling each one fairly evenly. Stir your concoctions with little wooden craft sticks or the like. I used the ends of wooden paint brushes. Let them set up for a day or two before using just like regular watercolors. These are the ratios of drops of food coloring I added to each compartment. It’s super fun to wing it and see what comes out. They will look dark in the containers, but once you use a watery brush to paint with them, they look good good on paper. I bought my plastic container at American Science and Surplus while looking for cool little parts for the robots my husband was making. If you are ever in the Chicago area, it’s worth a trip. 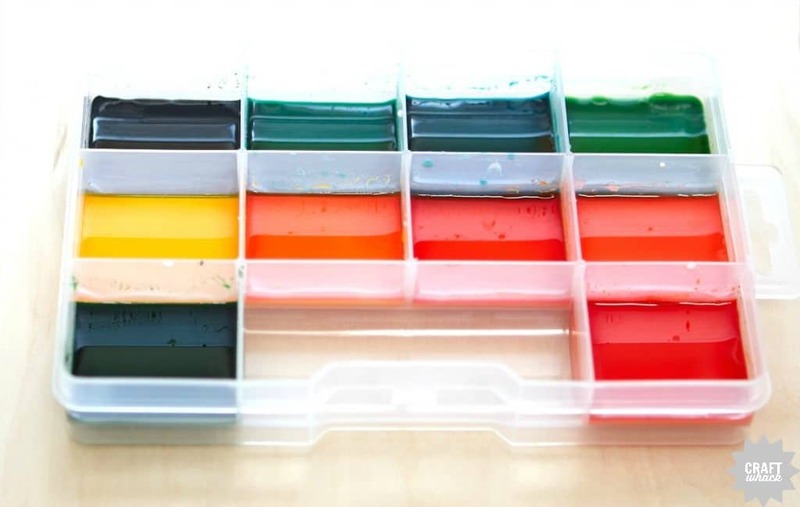 While looking for a similar container on Amazon, I noticed a lot of them have adjustable inside walls, which would mean the paints would all run together as soon as they were poured in. I’ve seen other people use ice cube trays for this, but if you can’t find a container like the one I used, I would recommend little individual plastic pots. 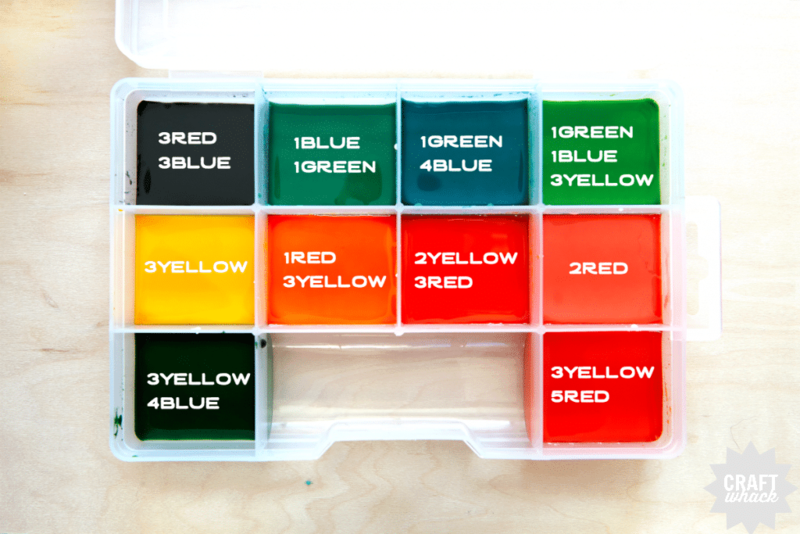 I use these for my acrylic paints that I mix up and want to store. 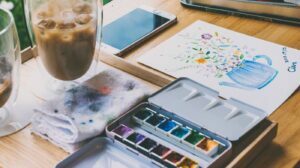 More info: Your paints won’t dry like pre-made watercolors. The addition of the cornstarch makes them dry matte and a bit opaque. These are more sort of chalky-looking when they dry. Totally worth whipping up a batch, though. 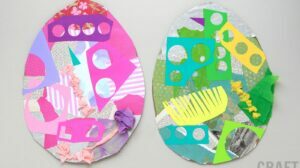 Find some more fun DIY art supplies for kids here.